The little train starts its journey at Gilfach Ddu station next to the Welsh Slate Museum in Padarn Country Park, Llanberis. It then makes its way past the 13th century castle of the Welsh Prince Llywelyn, before arriving at Llanberis station, built to serve the village. 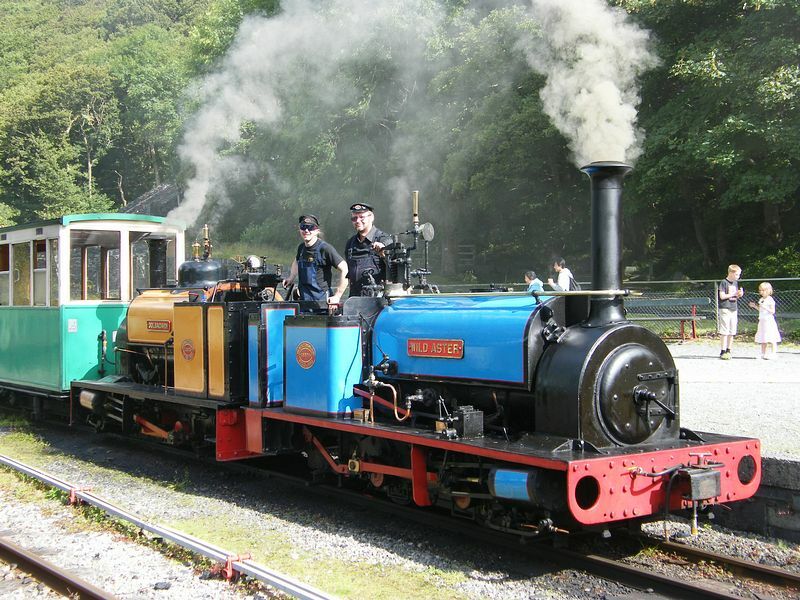 Here the engine changes ends and starts back along the recently built extension running non-stop through the country park, before joining the original 1845 slate railway route along the shores of Lake Padarn. On its way the train crosses rivers and streams, skirting the edge of the lake, and all the time offering unsurpassed views across the lake towards Snowdon and the surrounding mountains. At Penllyn (the end of the lake) the train starts its journey back, stopping at Cei Llydan for sightseeing on the homeward run. You may stop off here for a picnic or visit the nearby children's play area (when open) before catching a later train back. Llanberis often runs seasonal events including Halloween hunts and a very popular Santa's special at Christmas time. Just 15mins from the A55 (jnc 15). In Llanberis we are off the main A4086 Caernarfon to Capel Curig road, almost opposite the Snowdon Railway Station - follow Parc Padarn signs.